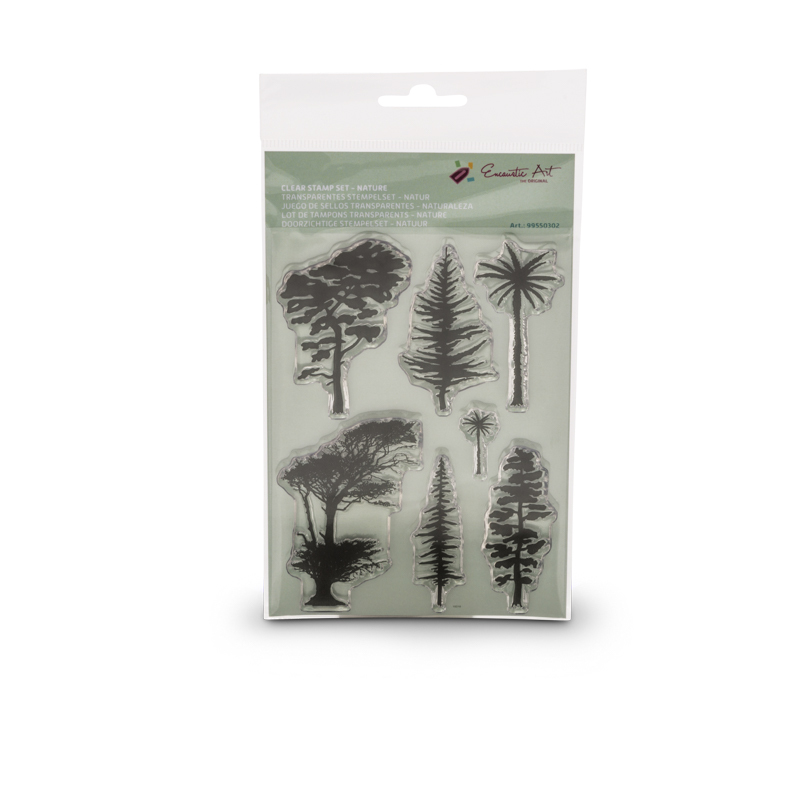 The nature clear stamp set is very useful and enjoyable to use. This collection of different tree forms allows a multitude of different images. Some of the stamp dies can be bent and distorted to produce a variety of images from just one of the dies. The palms can be bent to left or right or they can be made into an “S” shaped truck, so prove versatile in use.